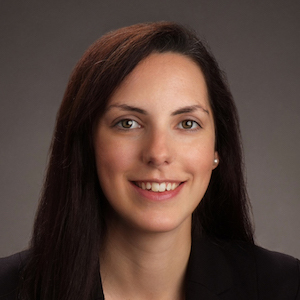 Lindsey joins OnRamp with over 10 years of experience in the legal recruiting and professional development field. As a member of the legal recruiting team at Goodwin Procter LLP, Lindsey was responsible for firm-wide relationships with law schools, including strategic outreach, designing attorney/student programming, enhancing law school relationships, and increasing the student recruiting pipeline. She also collaborated with firm leaders on lawyer hiring strategy and helped manage the recruiting, hiring, and integration processes at the firm. Most recently, Lindsey served as the Assistant Director for Employer Relations & Outcomes at Boston University School of Law, where she managed the relationship between the law school with employers in all sectors. She also was responsible for the school’s on- and off -campus recruitment programs along with general career-related programming and the annual résumé review and mock interview programs. Lindsey received her B.A. from Hobart & William Smith Colleges and her law degree from Suffolk University Law School. She briefly practiced in the field of labor and employment law for the Commonwealth of Massachusetts before returning to her pre-law career (and first love), legal recruiting. Having assisted in hiring Goodwin’s first Fellow in 2015, Lindsey is thrilled to have joined the OnRamp team!